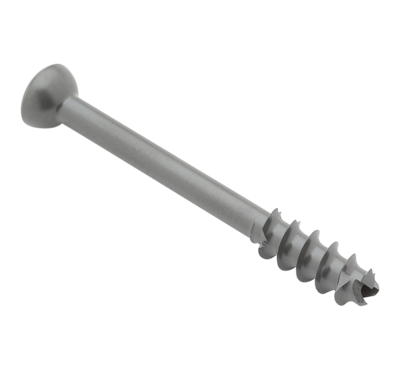 Arthrex carries an extensive line of both solid and cannulated metal screws in cortical and locking screw options. These screws are used for surgical fixation of fractures, fusions and osteotomies. The new Arthrex TPLO Locking Plate is designed with several new features, which allow the surgeon easier and more consistent plate placement and offer the option of a knotless anti-rotational lateral stabilization technique (InternalBrace™ ligament augmentation) in dogs with severe stifle instability. For fracture and osteotomy fixation in periarticular applications, this screw offers interfragmentary compression and a headless profile. Produced from solid enhanced PLLA and designed for excellent thread-to-bone contact. 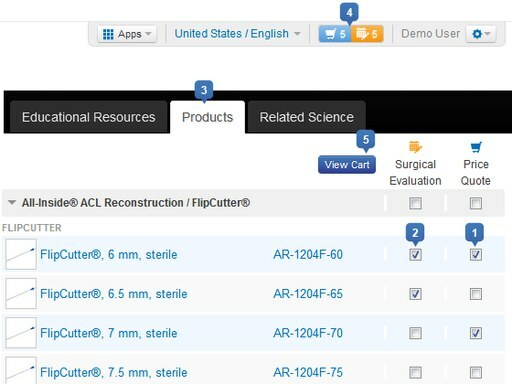 The screws are indicated for use in bone reconstruction, osteotomy, arthrodesis and fracture repair of bones appropriate for the size of the device. Complete Set – Full range of partially threaded, titanium, self-drilling and tapping headed cannulated screw options, in 2 mm, 2.4 mm, 3 mm and 4 mm diameters and fully threaded variable stepped pitch 2.5 and 3.5 headless Compression FT screws. Hexalobe Drive – Superior driver engagement — less potential for screw stripping. Note: 2.5 Micro Compression FT™ screw has 1.5 mm Hex Driver. The screws are intended for intra-articular and extra-articular fractures and non-unions of small bones and small bone fragments: arthrodesis of small joints and osteotomies. The 3.5 mm LPS cortical and locking screws are used in conjuction with our new Tibial Plateau Leveling Osteotomy (TPLO) with InternalBrace plate. 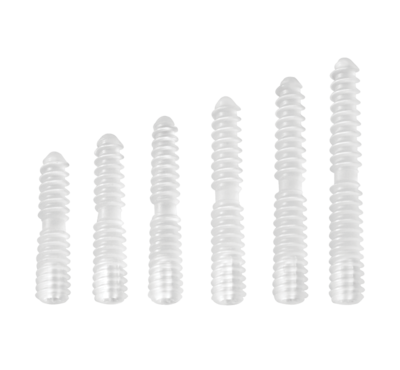 With a lower profile head and deeper threads than a traditional AO screw, the LPS 3.5 mm cortical screw purchases bone better and keeps a lower profile.